Treasuries continue to catch a bid this morning as investors don’t want to stick their necks out on the risk curve ahead of today’s jobs report. 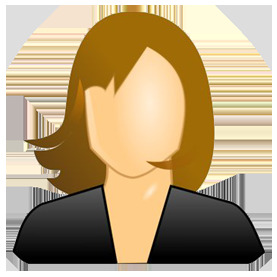 Given all the volatility in markets and other events swirling around recently, it seems as though this morning’s report has taken a backseat, and let’s hope that it is uneventful enough to stay that way! In a speech at a housing conference in DC yesterday, FOMC Chair Powell continues to see the economy humming along and described the labor market as “very strong.” The market is only hoping that it’s not too strong. Yesterday’s ‘moral victory’ rebound for US equities was impressive and most so in the Nasdaq which actually finished the day in the green. The index still has a lot to prove from a technical perspective, and the first task at hand is to break the string of lower highs. 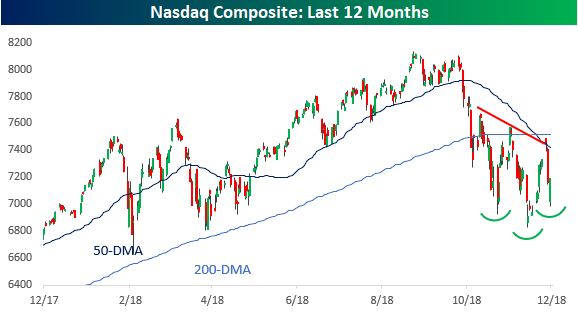 The most recent of those was at 7,490, which is just below the 200-day moving average. What is encouraging, though, is the fact that the index did make a higher low yesterday and could be in the later stages of an inverse head and shoulders pattern. We don’t put a lot of weight into these formations, but many do, so it’s important to at least be cognizant of it. Also positive is the fact that the Nasdaq’s leading group for much of this year-Software & Services- has also shown signs of stabilizing. 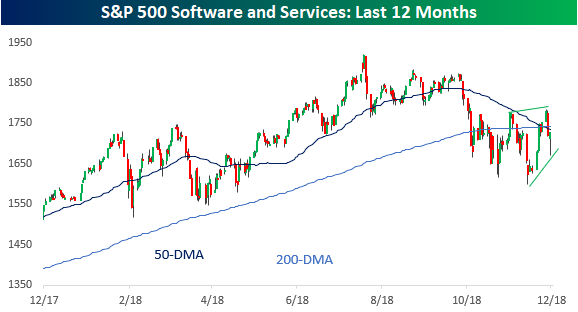 After last week’s higher high just above the 50 and 200-DMAs, the group managed to make a higher low in yesterday’s trading. That’s definitely worth watching. Finally, while not related to the Nasdaq specifically, homebuilder stocks also look to be carving out a bottom. The group has also managed to make a higher high and two higher lows in the last few weeks. In addition to that, the fact that PulteGroup (PHM) just announced a dividend increase indicates at least some level of confidence on the part of one company in the group. We would note that back in the early stages of the housing crisis, the last homebuilder dividend increase was all the way back in August 2006.